Monounsaturated fats in natural and fresh products such as olive oil, avocados, oily fish, nuts and seeds. Saturated fats in meat, dairy products, biscuits and cakes. Olive oil (53%), water, alcohol, sunflower lecithin as an emulsifier, natural flavouring, xanthum gum as a thickening agent. 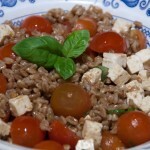 Cook the farro according to instructions and allow to cool. Wash and slice the rest of ingredients and add to grains. 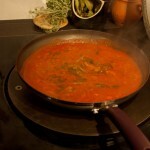 It’s quick and easy to make but the flavours do improve with keeping if you have any left over for the next day. the avocado is known as a superfood as it’s rich in antioxidants and other cancer- fighting properties? 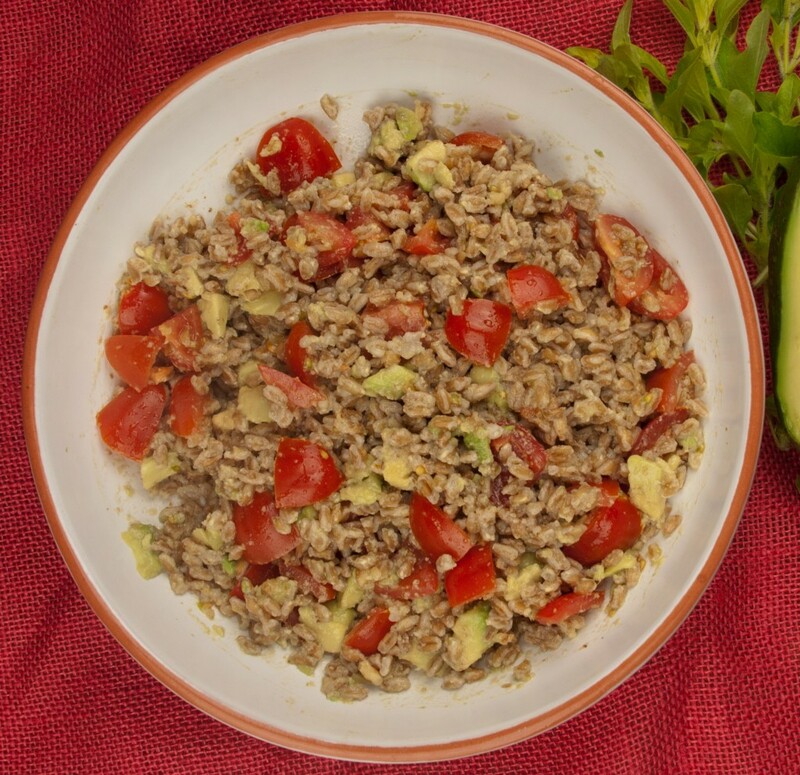 recent research has revealed that adding avocado to a salad helps the body’s ability to absorb two major carotenoid antioxidants (Lycopene and beta carotene)? the average avocado only has 12.5mg of fat and 235 calories? 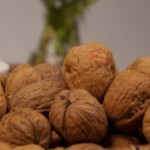 it is the only fruit which has monounsaturated fat which helps lower cholesterol? it is full of vitamins and nutrients such as vitamins C and K as well as folate? 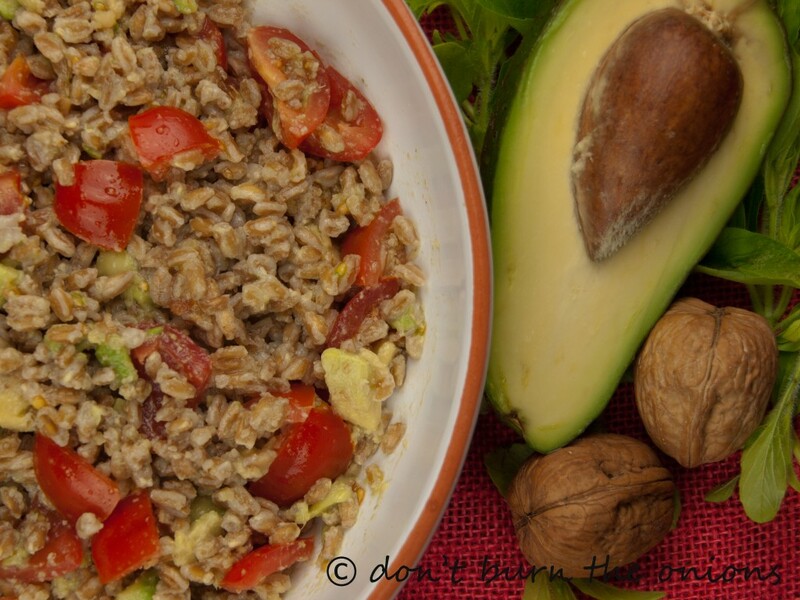 This entry was posted in All Recipes, Salad and tagged avocado, easy, healthy, lunch dish, Mediterranean diet, olive oil, Salad, tomatoes, walnuts by dontburntheonions. Bookmark the permalink. wonderful advice for those that shy away from avocados. In Mexico you will find them on the table at almost every meal including breakfast. Thanks for the recipe, I will be trying it soon.